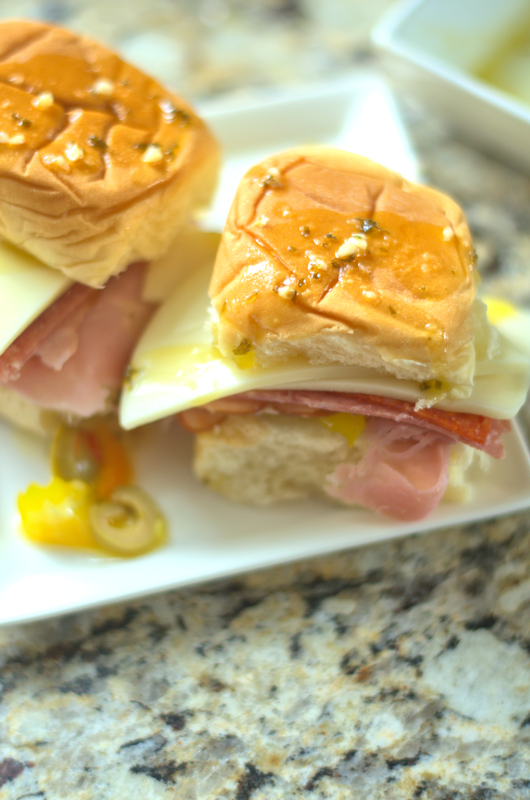 Muffuletta Sliders with banana peppers, salami, pepperoni, provolone cheese, mozzarella cheese, ham, and olive salad. The banana peppers and the pepperoni surely tend to bring on the heartburn but they are wonderful for race day food. Hence easy to make up cold or hot; I prefer them hot. Additionally, you can also serve them in style with race day flag picks or colors of your favorite driver. Don’t let people speed on through without having some Nexium handy. While these sliders are super tasty they can bring on the burn. 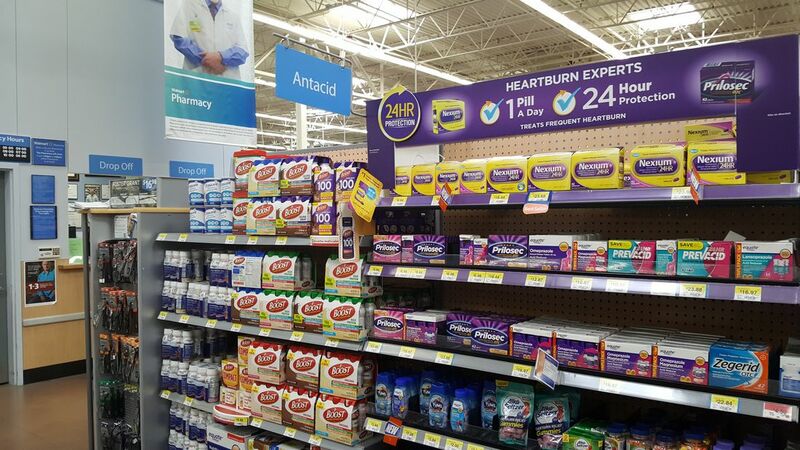 Heartburn that is! 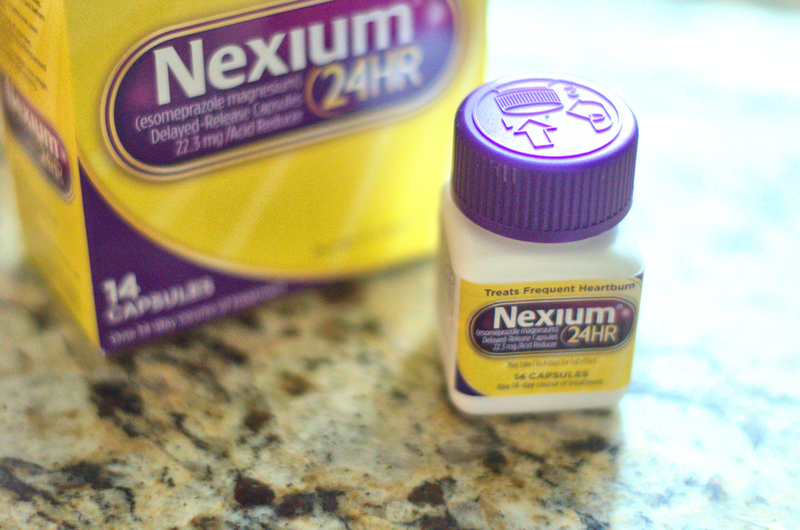 Nexium is all day, all night frequent heartburn protection. May take 1 to 4 days for full effect. Use as directed for 14 days to treat frequent heartburn. Now in new easy to swallow tablets. After all I found the tablets in the medical aisle at Walmart right in front of the pharmacy while I picked up the groceries to make my sliders. 1 pill a day and a it’s simple solution for frequent heartburn. 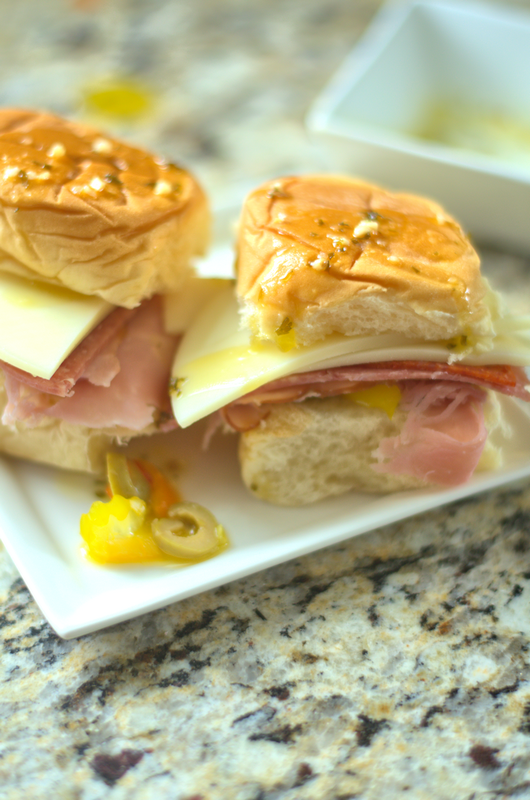 These Muffuletta Sliders are very easy to put together. 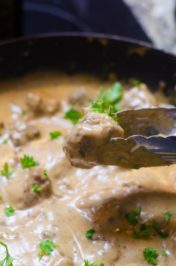 To serve them hot just pop them into the oven to broil them. I love to make these on race day. Therefore my husband and I will usually watch the race together whether it is on a Saturday or Sunday. Hence, we both like different drivers so race day can be fun when we pick at each other or when our drivers are both in the lead. We like to snack during the race therefore sometimes we go out for BBQ. 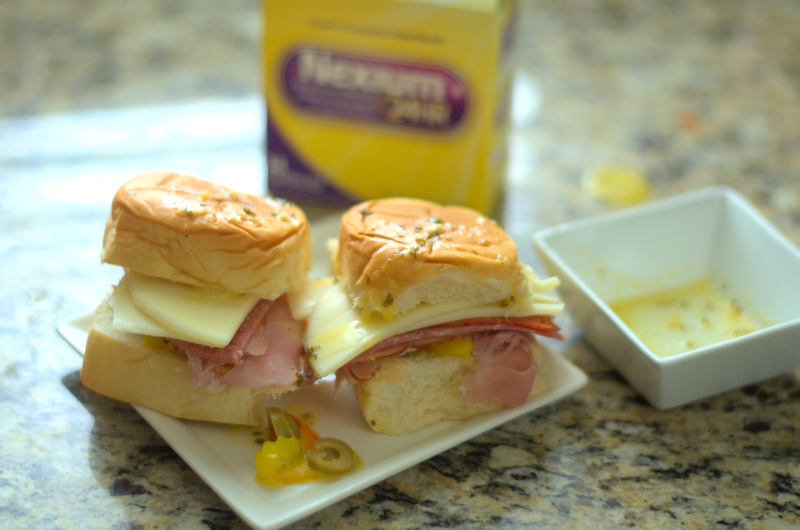 Sometimes I make these Muffuletta Sliders and other times it can be just to order in a pizza. However, usually that depends on the weather! Additionally, I have a friend that cheers for Ty Dillion in car #95. Do you like race day? Do you have a special routine for race day?Above all I’d love to hear about it! 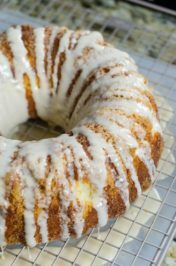 Especially if you have a recipe to share. 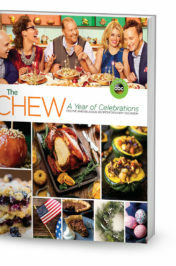 Therefore it’s always fun making new recipes on race day. 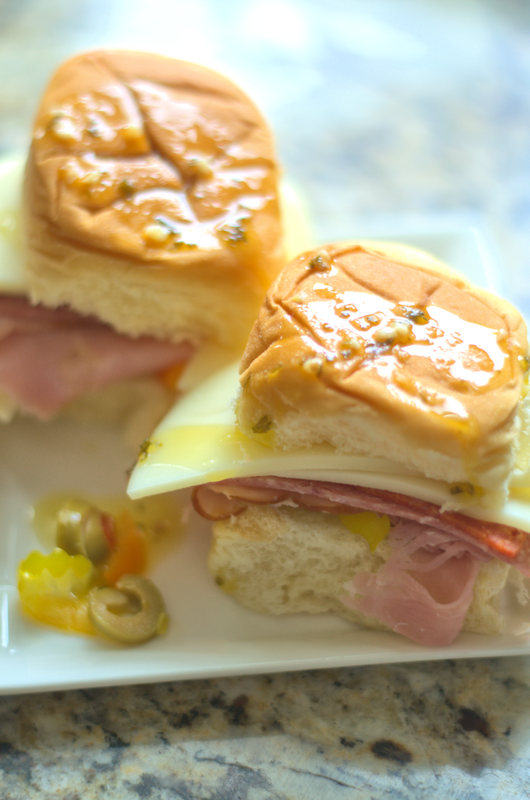 Muffuletta Sliders with banana peppers, salami, pepperoni, provolone cheese, mozzarella cheese, ham, and olive salad. 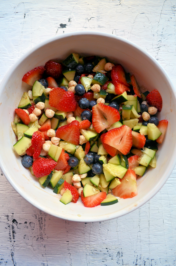 Layer with olive salad and peppers. Layer the ham, then pepperoni, then salami. Add the mozzarella and provolone. Put roll tops back on and brush with garlic butter.